Welcome to the society's website. Here you will find information about the Society and its projects. 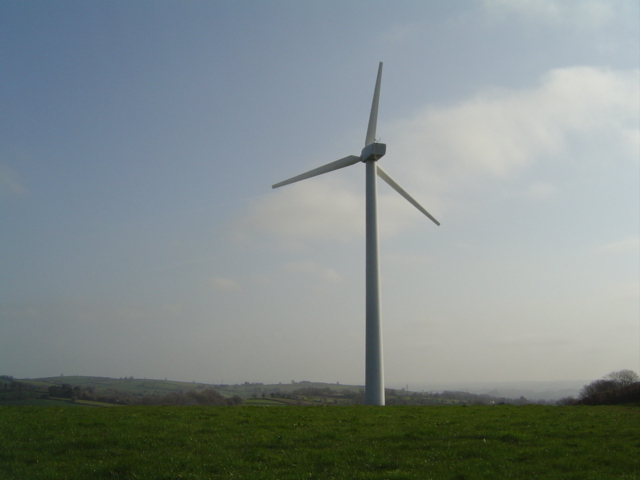 The Society was established in 2011 by members of Sustainable South Brent to take forward a medium size wind turbine project for the benefit of the community. The Vestas V27 wind turbine, rated at 225kW, was installed in August 2013 and began generating electricity in September 2013. V27 on 1 April 2019. The Society also owns the 9.88kWp PV array on the South Brent Recreation Association's pavilion building, which was installed in June 2014 and has generated almost 42,000kWh to end of November 2018. The following links show the real-time and historic contribution of wind power to the UK electricty grid and associated CO2 emissions. SBCES is not responsible for their content. Go to Carbon Intensity to see the current and forecast carbon dioxide emissions associated with using using electricty. Our website does not capture or store personal information. Tools, such as calculators, do not store the information you enter. We may track the number of visitors to the website, but this tracking will not personally identify you. South Dartmoor Community Energy (SDCE, based in Ivybridge) are running this project and we are providing funds for home energy saving measures for qualifying households. For more info go to SDCE's web page South Brent Warm and Well.